40 Years – For Realz? 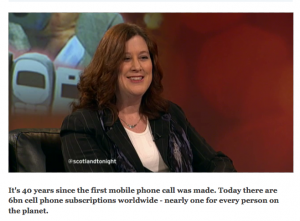 Here’s a link to my Scotland Tonight appearance from earlier this month. The topic, a decidedly geeky one, (much to my joy) was Has the mobile phone changed the way we live, work and play?